Here is what the Bowls BC landscape looks like. We have been collecting more information to help better understand the participation levels in our Province. We will continue to work hard to understand the demographics and how many people are actually playing bowls. 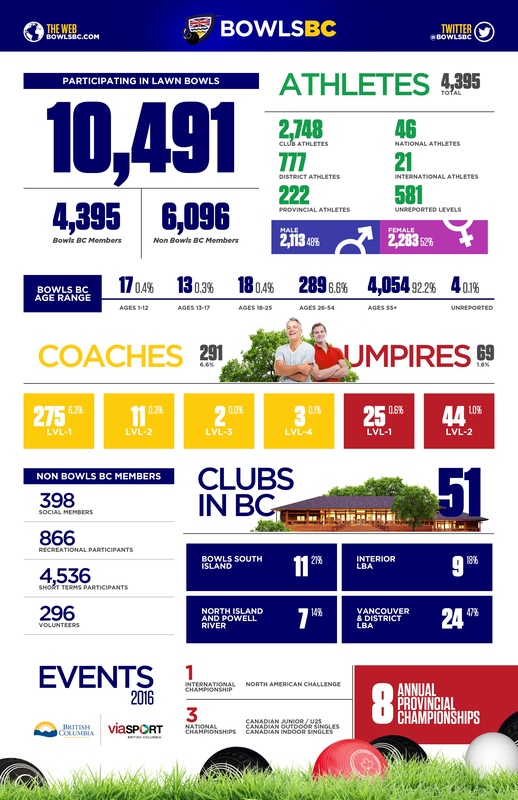 Our metrics have to be looked at differently as just because someone isn’t a member of a club, doesn’t mean that they aren’t an important part of the Lawn Bowling community. People are out playing Bowls all across British Columbia from; Charity Tournaments, Corporate Functions, Birthday Parties, Schools and Local Organizations like the Scouts and Girl Guides. Our Sport continues to grow as should our view of who is playing it.